PROSPERIDAD, Agusan del Sur, June 20 (PIA) – “Advanced education continues to improve in 2015 as a result of the Scholarship Program that the provincial government has been implementing. A total of 447 individuals have availed of the Scholarship program in 2015,” stressed Agusan del Sur Governor Adolph Edward Plaza in his State of the Province Address (SOPA) held recently at the Naliyagan Cultural Center Main Stage in the province. Gov. Plaza emphasized that the early education has improved from 21,847 in 2014 to 23,284in 2015, as a result of construction of day care centers. “As of 2015, there are now 501 day care centers that have been constructed. Around 4,000 children have benefitted from the provision of ne school facilities and supplies under the PAGTUON Program in 2015,” he said. Also, the good governor added that as the provincial government addresses the educational needs of the children in the province, their health and nutrition are also prioritized. BUTUAN CITY, June 21 (PIA) – The officials from Butuan-based Mindanao Centro Daily paid courtesy call on Monday to Philippine Information Agency (PIA) Caraga regional director Abner Caga and discussed partnership in information dissemination. In his interview over 107.8 Power FM/ Advanced Forward Emergency Broadcasting System (AFEBS) Network of PIA Caraga with deputy regional director Fryan Abkilan, Mindanao Centro Daily general manager Arnel Cortez and editor-in-chief Mark Divid Bequilla expressed that their media outfit wanted to partner with PIA in disseminating timely, accurate and relevant information to the public. Cortez also revealed that he and his team are now the ones handling the daily operations of their local newspaper release. There have been changes in management, however, the target areas for dissemination/circulation are still the same. “Our newspaper has been circulating in the key cities of Caraga region – here in Butuan, Cabadbaran, Bayugan, Tandag, Bislig, and soon in Compostella Valley. We will also do our best until we reach other parts of Mindanao,” said Cortez. Cortez also emphasized his appreciation to PIA’s initiatives and innovations in technology. “I get to appreciate more how technology really works because of your initiative. We’re glad to have learned about your mobile application, which is very accessible and convenient. There’s really a lot to discover in social media. We hope to have a good partnership with your agency,” he underlined. BUTUAN CITY, June 21 (PIA) – In time with the 67th Anniversary celebration of the Philippine Red Cross (PRC) Agusan del Norte – Butuan City Chapter on July 23, 2016, a “Chapter Volunteer Run” is also set with assembly area at 4:00 a.m in front of Father Staturnino Urios University (FSUU) Gymnasium. PRC Agusan del Norte-Butuan City Chapter administrator Teodoro Cairo said this event is a fund-raising activity for the Health and Welfare Services of PRC. “Our vision is to make the Chapter Volunteer Run as one of the most popular event of its kind in the locality, thus demonstrating how the local chapter leads in championing the spirit of volunteerism. We wish to show that the Agusan del Norte-Butuan City and Cabadbaran City is deeply committed in mobilizing humanitarian action as a means of saving lives,” expressed Cairo. Cairo added that the local chapter of PRC is seeking partners from different sectors of the society who are committed to similar values, and who can support not only PRC services but also behind these. BUTUAN CITY, June 21 (PIA) – Agusan del Norte governor Ma. Angelica Rosedell M. Amante-Matba has prioritized the safety of children and senior citizens in the province. Governor Matba during her State of the Province Address held recently bared that to ensure the safety of children, day care workers of the province were trained on the "Safety of Young Children" during calamities and emergencies. In 2015, the province’s day care program has served a total of 10,842 enrollees through the efforts of the day care workers and has distributed 235 story big books to the day care centers in the province, said governor Matba. According to governor Matba, the Local Council for the Protection of Children (LCPC) and the Annual Search for Child Friendly Local Government Units (LGU) were institutionalized as mechanisms of eradicating violence against women and children. “We take pride on the achievement of the city of Cabadbaran in getting the 1st place award for 'Child Friendly, City/LGU' in year 2015," she said. Meanwhile, on the social services of the province, some 1,533 Senior Citizens have already received various assistance, to include burial assistance, Lakbay-Gana and the Integrated Social Development Assistance Program (ISDAP) with a total cost of 2,279,520. Also, recognizing the contributions of the Senior Citizens in the province, a total of P67,160,500 were given to 11,222 indigent beneficiaries as their Social Pension. TANDAG CITY, Surigao del Sur, June 21 (PIA) - There will be at least 17,434 jobs to be offered at the jobs fair held at Brgy. Dagocdoc Hall here in time of the 9th Tandag City Charter Day Celebration set on June 22, 2016. The Department of Labor and Employment (DOLE) Surigao del Sur and the PESO Tandag City are working together to bring at least three local employers and 11 licensed recruitment agencies to help jobseekers shorten their search for work and for employers to meet their manpower needs. Top local vacancies are trainee for electronic assembler, process support technicians, production engineers, general office staff, area recovery officer, collection officer, cashier, front office receptionist, service crew, room attendant, sales officer, internal auditors and others from Cebu Mitsumi, Inc. MSS Cycle Trading (Motorstar) and Villa Maria Luisa Hotel respectively. On the other hand, household service worker, accountant, general welder, autocad, beautician, agricultural laborer, nurses and heavy and light driver top the overseas job opportunities. Recruitment agencies for overseas include Al-alamia International Manpower Services, I-Rekrut Manpower, Inc., Jenerick International Manpower Inc., Eastern Overseas Employment Center Inc., Online Hiring Corp., Placewell International Services Corporation, Zontar Manpower Services Inc., MMML Recruitment Services Inc., Maanyag International Manpower Inc., Victoria Services Inc. and Nonstop Overseas Employment Corporation. SURIGAO CITY, Surigao del Norte, June 22 (PIA) - Nine agrarian reform beneficiary organizations (ARBOs) in Surigao del Norte were honored recently for their outstanding performance in the implementation of the Agrarian Production Credit Program (APCP) of the Department of Agrarian Reform (DAR). The recognition was part of the kick-off celebration of the 28 years of the Comprehensive Agrarian Reform Program (CARP) on June 14, 2016 held at Robinsons Place, Butuan City. The outstanding ARBOs were San Pedro Rural Workers Association of Brgy. San Pedro, Alegria; Esperanza Farmers Credit Cooperative of Brgy. Esperanza, Del Carmen; Trinidad Farmers Credit Cooperative of Brgy. Trinidad, Surigao City; Cantapoy Farmers and Fisherman Credit Cooperative of Brgy. Cantapoy, Malimono; Honrado Farmers Credit Cooperative of Brgy. Honrado, San Francisco; Himamaug Agrarian Reform Beneficiaries Cooperative of Brgy. Himamaug, Taganaan; Ima Women-Initiated Community Association of Brgy. Ima, Sison; Union Agro-Agri Credit Organization of Brgy. Union, Dapa; and Mabini Farmers Agra Credit Cooperative of Brgy. Mabini, Surigao City. The ARBO borrowers were recognized for their performance based on the criteria of approved loan and accumulated loan availment since the ARBOs were granted of the APCP loans with the Landbank of the Philippines. These APCP loans were granted to ARBOs starting in 2014. BUTUAN CITY, June 22 (PIA) – Department of Environment and Natural Resources (DENR) Caraga regional director Nonito M. Tamayo and his senior officers, including the PENR officers, CENR officers, and division chiefs attended a two-day orientation about Foreign-Assisted and Special Project (FASP) held at Amontay Beach Resort in Nasipit, Agusan del Norte to familiarize themselves with its operation and management system in the region. 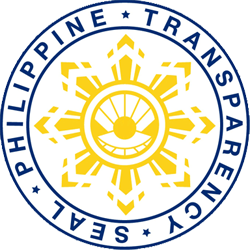 There are 26 on-going FASPs nationwide with a total cost of US$ 466.38 million (P21.4 billion) implemented since 2007 until 2022. Eight of these projects are active in Caraga Region. These projects are (1) the Philippine Climate Change Adaptation Project (PhilCCAP) with a total grant amount of US $ 4,970,000, which is a pilot project with the objective of developing and demonstrating approaches that would enable targeted communities to adapt to the potential impacts of climate variability and change; (2) Strengthening National System to Improve Governance and Management of Indigenous People and Local Communities Conserved Areas and Territories (Philippine ICCA Project) with a total grant amount of US$ 1,890,000. This project strengthens the conservation, protection, and management of key biodiversity sites in the Philippines by institutionalizing IPs and local communities conserved areas and territories as a sustainable addition to the National Protected Area estate; (3) Integrated Persistent Organic Pollutants Management Project (IPOPs Management Project) with a total grant amount of US$ 26,670,000 by the World Bank/Global Environment Facility (WB-GEF); (4) Philippine Solid Waste Management Sector Project (PSWMSP) with a grant amount of US $ 3,000,000 by the Asian Development Bank. This project will improve efficiency and reliability of delivery of Solid Waste Management services to residents in the recipient local government units which include construction of sanitary landfill and Material Recovery Facility (MRF), purchase of garbage collection trucks, MRF waste bins and equipments among others; (5) Program on Forest Study on "The Role of Forest in Reducing Poverty and Enhancing Climate Resilience" (PROFOR) with a total grant amount of US$ 300,000 by the World Bank. This is a study of the DENR with the objective to enhance understanding of how forest and the ecosystem services contribute and mutually reinforce both poverty reduction and resilience in the Philippines; (6) Scaling up Implementation of the Sustainable Development Strategy for the Seas of East Asis (SDS-SEA) with a total grant amount of US$ 167,909,459 by the UNDP-GEF, Partner Countries and NGOs. This project represents the "transformation phase" of a series of GEF support, culminating on the sustainability of the PENSEA as a regional coordinating mechanism for the implementation of SDS-SEA ; (7) Strengthening the Marine Protected Area System to conserve Marine Key Biodiversity Areas ( MKBA) with a total grant amount of US$ 8,000,000 by the UNDP-GEF; (8) Partnership for Biodiversity Conservation: Mainstreaming in Local Agricultural Landscapes, or Biodiversity Partnership Project (BPP) with a total grant amount of Php 691,606,338.43. This project will directly address barriers through an integrated approach aimed at strengthening enabling policies at the national level; enhancing capacities of LGUs, and demonstration in selected pilot sites. According to Roberto Oliveros, assistant regional director for Technical Services, "The extent and nature of involvement of the regional office in the implementation of these Foreign-Assisted Projects require strong coordination between the DENR and the FASPO." BUTUAN CITY, June 21 (PIA) – A multi-million project located at Purok 10, Forest Park, Barangay Bancasi, this city is ready to house more than 500 individuals who might be victims of calamities/disasters. Regional director Minda B. Brigoli of the Department of Social Welfare and Development (DSWD)-Caraga spearheaded recently the turn-over ceremony of the P17.9M-worth pilot evacuation center funded DSWD and this city’s local government unit (LGU). “We are so happy that finally this building is already completed and now ready to be used anytime another disaster will happen in the city,” said Brigoli. “This evacuation center is purposely built to provide convenient and safe place for the victims of calamities/disasters, so that in a way we will provide relief from their burdens of being displaced from their homes,” Brigoli added. Aside from the establishment, the regional office also provided other facilities such as big pots/kettles, plastic containers, and ladles which will be of use when internally-displaced persons (IDPs) will be staying at the evacuation center should the city be visited by disasters/calamities. Also, City Administrator Regie Mag-usara and City Councilor Sammy Amante both represented LGU-Butuan during the said ceremony to formally receive the symbolic key of responsibility and accountability for the evacuation center. 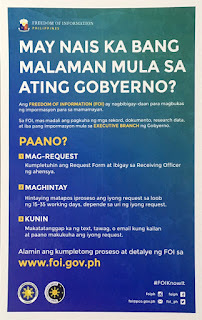 SURIGAO DEL SUR, Hunyo 21 (PIA) - Ang mga opisyal sa Aquino Administration ug sa umaabot nga Duterte administrasyon nagpadayon nga mapaayo og han-ay ang mga detalye sa transisyon aron masiguro ang hapsay nga pagbalhin sa mandato sa Presidential Communications Operations Office (PCOO), kini ang gibutyag ni Secretary Herminio Coloma, Jr. kagahapon, adlaw’ng Lunes. “Patuloy ang aming pakikipag-ugnayan sa isa’t isa upang maibahagi kay incoming secretary Martin Andanar ang mga mahalagang impormasyon tungkol sa trabahong ginagampanan ng Communications Office,” kini ang gisulti ni Secretary Coloma ngadto sa mga mamamahayag didto sa Malakanyang. Si Coloma miingon, nga atol sa ilahang unang miting kon panagtagbo ni Andanar, sila gilayon misuroy sa Philippine Information Agency (PIA), People’s Television, National Printing Office, og sa APO Production Unit nga didto napahimutang sa PIA building sa Quezon City. “Nakipag-pulong siya sa mga nasa operations natin dito sa PCOO, kina Undersecretary Jan Co Chua, Assistant Secretary Cecille Javillonar at iyong iba pang kagawad ng ating tanggapan dito. Bahagi lang ito ng patuloy na pakikipag-ugnayan namin sa isa’t isa upang tiyakin ang isang seamless transition,” sumala pa ni Coloma. Gitumbok usab ni Coloma nga iyaha gikabutyag kang Andanar ang importansya nga mahatagan ang mga membro sa media og mga haum sa panahon nga mga impormasyon tungod kay kini ang pinaka-importante nga responsibilidad nga ipahamtang sa opisina sa presidente og sa Palasyo sa Malakanyang. Si Andanar sa iyahang kabahin usab mibutyag nga gawas sa pag attender sa mga nahisgutang panagtigum, siya usab nakigbayloay og mensahe pinaagi sa text messages kang Secretary Coloma. Siya usab misubli nga ang PCOO paga-usbon sa tawag nga Presidential Communications Office kon PCO. Sa pangutana kung ang Presidential Communications Development and Strategic Planning Office (PCDSPO) posibleng mawala, siya miingon nga kini mamahimo na nga usa ka division ilalum sa pagdumala sa PCO. Ang PCDSPO, gitahasan sa pag-umol og mga mensahe sa presidente, ang gipangulohan karon ni Undersecretary Manuel Quezon III. Sumala pa sa taho, si Andanar miingon nga gusto nila og kabag-ohan (streamline) sa PCO. Gitumbok niya nga mapasayon ang paghatag og report ngadto sa presidente lakip na ang paghatag og impormasyon ngadto sa mga gabinete.